The Markslojd Garden 24V complete lighting system makes outdoor lighting easy. The ultimate in ‘plug and play’ outdoor lighting kits, the Garden 24V range offers a wide selection of products that are both practical, aesthetically pleasing, and simple for anyone to install. The Markslojd Garden 24V products do not require any hard wiring, making for an easy and economical lighting solution for any home or business. As well as being simple to set up, the lights are dimmable and can be used alongside timers or sensors, delivering a truly bespoke lighting system to suit the layout and style of any property. The Markslojd Garden 24V lighting collection at Lyco features three versatile spotlights in either 3, 6, or 9 watts, with a stylish black finish. These lights can easily be fitted into the ground or attached to guttering without any hard wiring to deliver ambient illumination, perfectly suited to outdoor seating areas in bars, hotels, and restaurants. 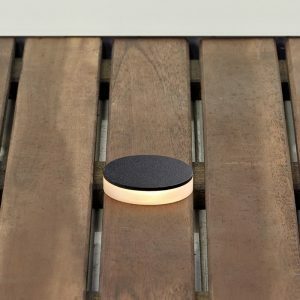 Add a stunning ambient glow to outdoor decking and seating areas with Markslojd’s recessed deck lights. Simplistically styled in black with a frosted diffuser, these fixtures are prewired, removing the need for any complex wiring. Each 3W LED offers 65 lumens of warm white light which won’t just improve visibility outdoors but also help create an inviting atmosphere. 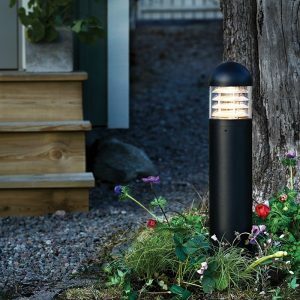 These easy-to-install LED outdoor bollard lights make for a practical and stylish lighting solution, and work particularly well along pathways, walkways, and in car parks. As well as being a high performing light in this practical sense, the fixture will look stunning in the grounds of any venue too - cased in aluminium and finished in an attractive matte black finish. 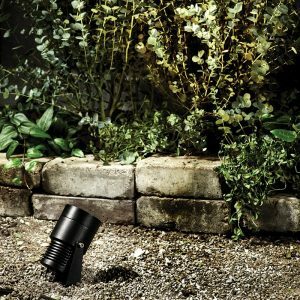 The Garden 24 plug and play lighting collection from Markslojd is designed to be extremely straightforward to install; requiring very little in the way of tools and and deeply buried cables, meaning there is no need to call upon an electrician for help. Many of the fixtures depend on a transformer or driver (sold separately) in order to work and additional cables may also be necessary, depending on the set up. Click here to discover the full Markslojd Garden24 collection at Lyco or to find out more by watching this short video.